Vitamins we can store & be barely store. Vitamin A, B1, B2, niacin, pantoothenic acid, B6, biotin, folate, b12, C, D, E, K major sources, importance and effects of shortage. Vitamins A, Vitamins D, Vitamins E and Vitamins B12 can be stored in our bodies for a considerable time. Stores protect us against short-term shortages. For example, plentiful vitamin D, obtained from sunlight on our skin in summer, helps maintain our supply the following winter. But storage also means that body levels can build up and, when eaten in animal foods, even moderately excessive amounts of vitamins A and D produce ill effects. Although the body also produces vitamin A from carotenes in vegetables and fruit, eating these in large amounts does not cause vitamin A excess, nor does an excess of vitamin D result from sunlight. In developed countries, shortages of fat-soluble vitamins A, D, E (and K, which is little stored by the body) are mainly due to poor food choice, or for vitamin D, little time spent outdoors. Some people are at risk because they absorb fat poorly, through illnes or as a side-effect of medication, such as cholesterol-lowering drugs or regular use of laxatives. Some vitamin A and vitamin E in food is lost due to exposure to air in storage, and strong heat during cooking. Fat-soluble vitamins need not come from high-fat foods: there are good low-fat sources for each one. The B comples vitamins and vitamins C and K are little stored by the body, so daily intake is important, although the body manufactures much of the vitamin K it needs. Contact with water will wash some of these vitamins out of food, for example in canning, soaking or when cooking in lots of water. Food refining, exposure of cut surfaces to air and light, and prolonged heat also cause major losses. This means that the risk of deficiency is highest among people who rely on processed or overcooked food. Poor food choices and some medications are also hazards. In illness or at other times of stress, the body may benefit from higher levels of the vitamins that we barely store. As B vitamins have related functions, if you are taking a supplement, take all the B complex vitamins. To retrain the maximum amount of these vitamins in food. Major sources: Avaible as retinol in liver, eel, fortifed margarine, kidney, full-fat milk and eggs. Cheese, butter and oily fish also supply a useful amount. Also produced from carotenes in carrots, broccoli, green leafy vegetables, winter squash, sweet potatoes, red pepper, mango, pumpkins, canteloupe and dried apricots. Importance: Required for growth and the normal development of tissues; maintains the health of the skin and surface tissues, especially those with mucous lining, such as the linings of the bronchial rubes. These linings are the body’s first defence against infection. Vitamin a is also necessary for vision. Effects of shortage: Vitamin A deficiency in previously well-nourished people may have no symptoms for a year or more. Early effects include pooere sight in low light, for example at dusk or in moonlight; dry skin; andreduced overall resistance to infection, especially in the lungs. Major sources: Peas, wheatgerm, sunflower seeds, fortified breakfast cereals, liver, yeast and yeast extract, peanuts, mycoprotein, potatoes, pork, fortified white bread, wholegrain bread and cereals. Importance: Essential for many bodily functions, including the release of energy from carbohydrates, alcohol and fats, and the health of nerves and muscles. The more carbohydrate or alcohol is consumed, the more b1 is needed. Effects of shortage: Early signs include irritability, failure to concentrate, depression, poor sleep, loss of appetite and general malaise. Longterm deficiency leads to nerve damage and withering of muscles, mental confusion and loss of memory. Outright deficiency is common among alcoholics and prolonged deficiency is fatal. Major sources: Liver, kidney, yogurt (joghurt) milk (if packaged so that it is not exposed to light), cheese, fortified breakfast cereals, wheatgerm, eggs, yeast extract, crab, mussels, winkles, oily fish, plaice, huss, whiting, mushrooms, almonds and pumpkin seeds. Importance: Vitamin b2 involded in many bodily processes, especially making energy available from food; growth in children; and the repair and maintenance of body tissues. Effects of shortage: Early signs include sore cracks at the cornes of the mouth and general malaise. Other symptoms are a from of eczema at the angles of the nose, and on the chin and genitalia, a sore, magenta-coloured tongue and red, itchy eyes. These symptoms are reversible within days and do not disable. Major sources: Many foods are sources of niacin, either directly or via tryptophan, a protein from which the body makes niacin. Richest sources include liver, lean meat, fortified breakfast creals, oily fish, milk, cheese, eggs, peas, mushrooms, fish roe, green leafy vegetables, globe artichokes, asparagus and potatoes. Importance: Niacin comprises nicotinic acid and nicotinamide, which are both needed for the production of energy in cells. Nicotinamide is involved in enzyme processes, including fatty acid metabolism, tissue respiration and the disposal of toxins. Niacin supplements are being researched for their usefulness in treating schizophrenia. Effects of shortage: Deficiency is unlikely if you eat a varied diet, especially as some breakfast cereals are fortified with the vitamin. Symptoms of mild deficiency include a lack of energy, depression and sometimes a dark-red scaly rash on the skin when it is exposed to the sun. Prolonged severe deficiency, which is very unlikely today, causes outright pellagra and death. Major sources: Most foods except sugar, fats and alcohol contain some pantothenic acid, or pantothenate. Rich sources include liver, wholegrains, yeast extract, avocados, wheatgerm, egg yolk, peanuts, walnuts, dried pears and apricots, dates and mushrooms. Importance: Plays a central role in making energy from fats and carbohydrates available for the production of essential substances in the body, including the production of steroid hormones and fatty acids. There is some evidence that pantothenic acid supplements can help rheumatoid arthritis. Effects of shortage: Deficiency is rate, but is also hard to recognize, partly because the symptoms are vague and partly beacuse it is usually combined with other vitamin deficiencies. Known signs include numbness and tingling sensations in the feet, headache, irritability and restlessness, dizziness, fatigue and stomach disturbances. Major sources: Wheatgerm, bananas, potatoes, turkey, fish, nuts, especially walnuts, sesame seeds, peppers, cruciferous vegetables, especially Brussels sprouts, cauliflower and watercress, avocados and fortified breakfast cereals. Importance: Required by the body in the making of proteins; to release stored glucose; and in the production of niacin from tryptophan. All these bodily processes are necessary for growth, blood formation and to protect against infection. 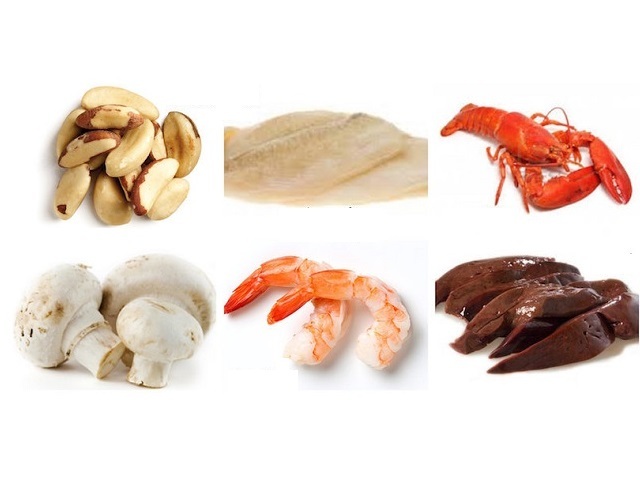 The more protein that is eaten, the more vitamin B6 required. Effects of shortage: In theory, deficiency is rare except in some people taking certain drugs for rheumatism, tuberculosis or high blood pressure. Symptoms include a sore mouth, depression, irritability, eczama, and sometimes inflammation of a nerve, causing pain or poor function. Supplements of 50mg per day taken for premenstrual syndrome cause side-effects in many women. Major sources: Liver, kidney, wheatgerm, nuts, oats, egg yolk, cooked dried blackeye beans or soya beans, mangetout, globe artichokes, mushrooms and mycoprotein. Biotin is manufactured within the body as well as being obtained from food. Importance: Needed to make the energy from food avaible, for instance, for the synthesis of foats, and for the excretion of protein waste products. Effects of shortage: The only people likely to be at risk are those who often eat more than 1-2 raw egg whites a day, which prevent the absorption of biotin. Symptoms of deficiency include nervous disturbance and seborrhoeic dermatitis. Major sources: Liver, yeast extract, wheatgerm, green leaf vegetables, especially parsley, watercress, spinach, endive and purple sprouting broccoli, raw beetroot, fortified breakfast creals, nuts, especially peanuts, and pulses. Importance: Needed for the production of many essential substances in the body. It is important for the role it plays with vitamin B12 in rapidly dividing cells, making genetic material (dna) for every cell. Also required to maintain immune system function. Effects of shortage: Mild deficiency can lead to anaemia, mouth sores, a sore tongue, appetie loss, general malaise and poor growth in children. Severe deficiency can cause mental deterioration. Women with low levels of folate at conception have a much higher risk of having a baby with spina bifida. The risk is sharply reduced if women who may become pregnant take 400mcg folate daily, continuing to 12 weeks, or throughout, pregnancy. Major sources: Found in all animal foods, especially liver, and plant foods that contain certain algae such as seaweed, or bacteria such as beer; mycoprotein; fortified yeast extract; and fortified breakfast cereals. Importance: Needed for the manufacture of genetic material (DNA and RNA) which is in every cell, vitamin b12 is also involved in the formation of red blood cells, the utilization of folate and the maintenance of the protective sheaths around the nerves. Effects of shortage: Although only minute amounts of vitamin b12 are needed for health, deficiency can slowly accumulate in people with prolonged low intake or poor absorption. The first effect of shortage is anaemia, causing tiredness and loss of resistance to infection. Prolonged deficiency leads to megoblastic anaemia with irreversible damage to the nervous system. Major sources: Green leafy vegetables, especially raw; blackcurrans, citrus fruit, strawberries, peppers, guava, tomatoes and potatoes. Importance: Essential for the formation and maintenance of connective tissue, wound-healing, gum health and overall health. There is strong connection between higher intakes of vitamin C and lower risk of heart disease, stroke, cataracts and some cancers. Effects of shortage: Low levels result in deficiency symptoms within 3-4 weeks, such as increasingly poor recovery from wounds, fatigue, reduced gum health, bleeding from small blood vessels into the gums, joint pain, and poor sleep and mood. Smokers are advised to eat more. 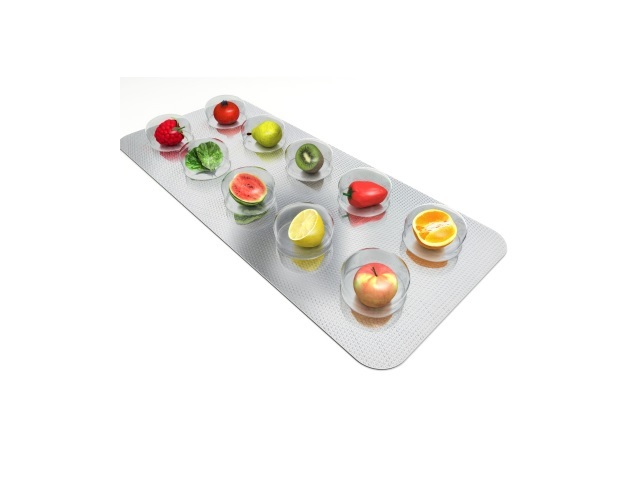 Antioxidant experts advise up to 200mg per day, far above most governments’ recommended intake. Major sources: Vitamin d is mainly manufactured in the body when the skin is exposed to sunlight, except through glass. Few food sources: oily fish, notably sardines, sprats and trout, and in much smaller amounts, fortified margarine and eggs. Importance: Needed for the absorption of calcium from food, and for calcium and phosphorus use. It therefore effects the growth and strenght of bones and teeth, together with nerve and muscle health connected with calcium. Effects of shortage: In children, there is less bone growth, muscle weakness, anaemia and a tendency to respiatory infections. Long-term shortage results in rickets, where the bones become deformed because they are to weak to bear the child’s weight. In adults, shortage softens bones, causing pain, muscle weakness and a higher risk of fractures. Major sources: Nuts and seeds, especially sunflower seeds, almonds, hazelnuts and pine nuts, and wheatgerm. Sunflower spreads, sunflower oil, broccoli, green leafy vegetables, sweet potatoes, oats, avocados and wholegrain cereals also supply a useful amount. 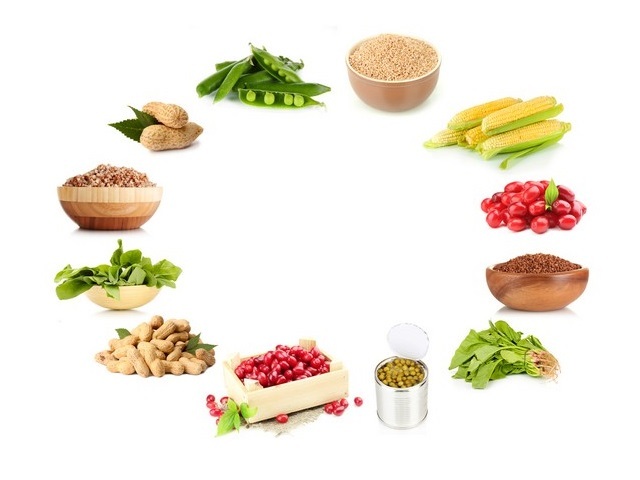 Importance: Two sorts of vitamin E, tocopherols and tocotrienols, are probably both needed for their antioxidant action, which protects against the harmful by-products of oxidation. The more polyunsaturated fats you eat, the more vitamin e is needed to protect them from oxidation. Effects of shortage: Convincing evidence shows that people with lower body levels of vitamin e have a higher risk of heart attack, stroke, cataracts and some cancers. In a few people who cannot absorb or use vitamin e adequately, a progressive neurological disorder can develop that affects the eyes, nervous system and muscles, and causes anaemia. Major sources: Green leafy vegetables, notably green cabbage, Brussels sprouts, cauliflower and spinach, liver, beans, peas and carrots. At least half the daily need is not obtained from food but is manufactured in the body. Importance: Essential for the formation of proteins responsible for blood clotting and other functions. Vitamin k may be required for maintaining bone health. Effects of shortage: Shortage in adults is unlikely except in people with poor fat absorption, such as sufferers of Crohn’s disease, or people with severe gallstones. Lack of clotting ability causes prolonged bleeding. Newborn babies have little vitamin k and the vitamin is often given at birth to guard against haemorrhage.